There are two main types of Healing Technologies we offer at Healing House in Scottsdale: 1) Bioresonance Health Screening with the Asyra Pro and 2)Low Level Light Therapy (a.k.a., “Cold Laser Therapy”). Experience the extraordinary technology that is the Asyra Pro Bioenergetic Screening System. Your body is a living field of energy, and those energies can be accurately detected, recorded, and treated using the Asyra Pro. Your session will include an electrodermal resonance scan, an in-depth analysis of the Asyra Pro’s findings, a copy of your individual session report, a treatment using an imprinted cold laser device, and a take-home electromagnetically charged homeopathic remedy. The Asyra Pro is particularly helpful at clearing through the confusion of complex symptom patterns to help pinpoint the exact source(s) of your illness. The cold laser treatments are painless and safe for young and old, and clinical results have been truly impressive. The Asyra Pro represents the culmination of over 70 years of research into the little known field of bio-electromagnetic resistance testing and therapy. This device uses its database of over 60,000 quantum electromagnetic wave patterns to detect imbalances in your energetic field. The technology is actually quite simple, on a certain level. Everything in nature produces an electromagnetic field. If it’s got atoms, its producing wave patterns. The engineers who designed the Asyra Pro were able to isolate, record, and amplify the wave patterns of a truly enormous number of items representing various health vectors, such as allergens, pathogens, toxins, nutritional factors, hormonal imbalances, organ functionality, and much, much more. It then matches every single one of the imbalances it finds in your body to a corresponding wave pattern of a remedy that will balance it out. In essence, every time the Asyra finds a problem, it finds a solution. Each balancing item is then added to a profile of healing resonance patterns, which is referred to as a “multichord.” Your multichord wave signatures are then transmitted into a cold laser device which we then shine over your body. 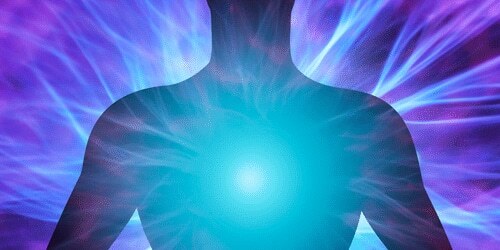 In this way we are able to imprint you with a new resonance field in order to promote a truly individualized energetic healing. …still not making any sense? We understand! This is complex stuff. Here’s what it looks like from a purely practical point of view. You sit in a chair facing the practitioner. Your practitioner hands you two metal rods and starts the Asyra Pro with the click of a mouse. You feel almost nothing – maybe the slightest electrical crackling sensations in your hands – while the machine runs literally thousands of tests in just a few minutes. You can watch a monitor as the machine sorts through all your data points and formulates your multichord. Once the test is done, you put the rods down and listen as your practitioner interprets and explains the Asyra Pro’s findings, item by item. This takes a while – 30 to 40 minutes – as there is typically a lot to discuss! Your practitioner then imprints a laser and a sterile vial of water with your multichord, and treats you with the laser by shining it over your head, ears, and body. Again, you feel nothing except perhaps a subtle energetic shift. Finally, your practitioner creates an email listing their interpretation of the Asyra Pro’s findings and emails you your report. And that’s that! You now know exactly which foods to avoid in order to keep your immune system from faltering, which pathogens or toxins are creating a mess in your body, which hormones and neurotransmitters are out of whack, which organ systems are stressed or weak… and so much more. But you also know that your practitioner has a plan for helping you through all of the Asyra Pro’s findings, and the resonance formula that the machine created for you combined with the laser treatment you just received are going to help point your energetic body in the right direction. Cold Laser Therapy (also known as “Low Level Light Therapy”) is a treatment that employs a very powerful, focused, and specific range of light frequencies to reduce inflammation and promote healing. Cold Laser Therapy has been shown in multiple studies to reduce pain, increase collagen production and speed wound repair. Cold Laser Therapy (also known as “Low Level Light” therapy) is a treatment we use here at Healing House that utilizes unique frequencies of light to heal the body. Studies show conclusively that the cells of your body are highly sensitive to various wavelengths of light, and exposing them to the right frequencies has also been acknowledged by the FDA as being very helpful in the treatment of pain and inflammation. Research is ongoing, but there are already over 4000 studies on cold laser therapy, and the bulk of the studies have suggested that right laser signatures and pulses can have a very positive impact on conditions such as arthritis, carpal tunnel syndrome, aches and sprains, neuropathies, skin disorders, and more. There are many different kinds of laser therapies available on the market, and the technology continues to expand and develop. At Healing House, we prioritized using a cold laser system with a proven track-record of safety and an established clinical track-record of success. Our research brought us to the Q1000, a Class III laser, meaning it is proven to be safe for skin and eyes. The Q1000 offers extremely high-quality cold laser engineering at a price point that our patients will find agreeable. And although the manufacturer of the Q1000 got in some trouble with the FDA for publishing on their website the verified testimonials of their patients, some of whom claimed near-miraculous results, that did not shake our confidence in the effectiveness of their technology (though we will be careful not to repeat their mistake). We find that Cold Laser Therapy is especially effective when combined with acupuncture and massage. It’s also an excellent stand-alone alternative for patients who cannot take advantage of those therapies by themselves. If you are looking for a safe, painless, non-toxic, non-invasive therapy that may help with pain and inflammation, you might want to give Cold Laser Therapy a try. Coming from EU I found the Healing House more helpful than any doctor visit. I finally felt somebody has a real interest in helping me with my health problem. Amazing! Thank you very much! This place will answer so many questions that you cannot get from your regular Dr. Preventive medicine at its best. Save 34% Off the Asyra Pro at Healing House! What kinds of side-effects are there from using healing technologies such as the Asyra Pro or cold laser therapy? There are no known negative side effects from any of the therapies we use at our practice, provided they are used by a professional. However, on rare occasion we have found that there can sometimes be a healing reaction to the treatment generated by the Asyra Pro. This reaction can include nausea, rash, sweating, fatigue, and other generally mild sensations. If you experience any of these symptoms please stop taking the resonance formula and contact your practitioner at Healing House. When in doubt, it is always wise to contact your family physician. How do I know what would be better for me – cold laser, the Asyra Pro or acupuncture? Your primary holistic practitioner will help you to determine that when you come in for your initial and follow-up consultations. If you are interested in one or more of our Healing Technologies, be sure to mention that to your practitioner. How long does it take to experience results with each of the healing technologies offered at Healing House? Unfortunately, it is impossible to say – it depends entirely on the individual and the health conditions that they present. However, very broadly speaking, we have seen general improvement with the Asyra within two or three sessions, and we have seen improvement with the Q1000 within four or five sessions. Do I need to take off my clothing, watch, or jewelry when I am being scanned by the Asyra Pro? It is not necessary to remove jewelry or clothing, but it would be a good idea to remove any electronic devices, including watches. What Happens After Your Healing Technology New Patient Special? After your special, receive a follow-up cold laser therapy, follow-up acupuncture, one-hour massage, custom facial, follow-up nutrition, cupping & gua sha or moxibustion for only $49.50 per session! Our Wellness Membership Program gives you a huge menu of holistic services at a discounted price.